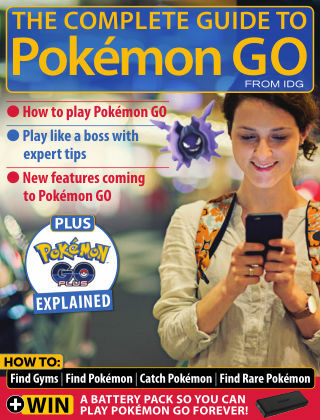 With Readly you can read The Complete Guide To Pokémon GO and thousands of other magazines on your tablet and smartphone. Get access to all with just one subscription. New releases and back issues – all included. Everything you need to know about Pokémon GO, from the editors of PC Advisor and Macworld UK. We show you how to play, have essential tips and tricks, and reveal how to find gyms, PokéStops and rare Pokémon. Plus, you could win a battery pack, so you can play Pokémon GO forever.